makes them very popular, especially with the cost of fuel prices today. that gives their design a kind of modern vibe that looks current today. You can find vintage Scamps or the company does a build to order from the factory. 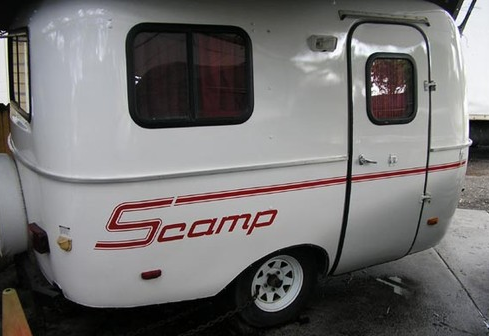 and another link for owners who are interested in joining a Scamp owner club. I found this 2004 for sale on ebay, just in case you are interested. 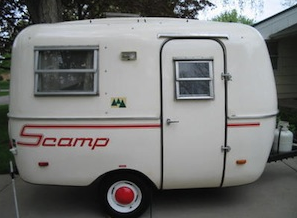 Next post: Pictures of an old camper:: fixed up!